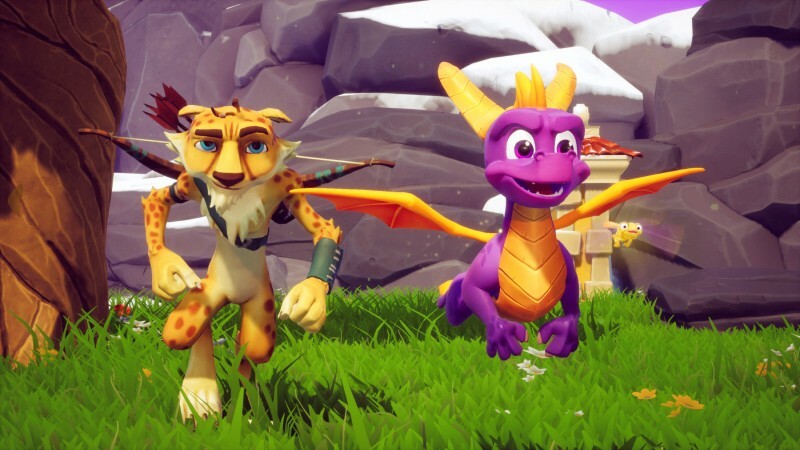 Spyro is heralded as an icon of the past, but he never really left us. Following Insomniac Games’ excellent PlayStation trilogy, his career veered to the Game Boy Advance for numerous titles, to PlayStation 2 where he was voiced by Elijah Wood in a bid to give him new life, and then he became the central focus of Skylanders, the successful toys-to-life phenomenon. 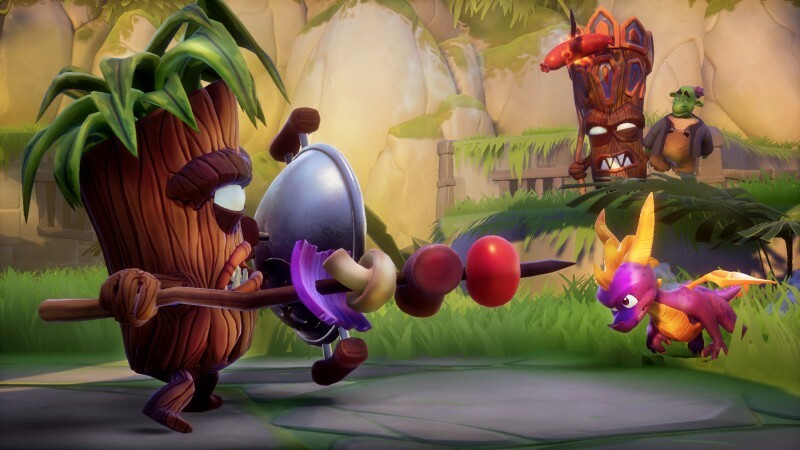 He isn’t currently featured in any new games, yet his story continues in Netflix’s Skylanders Academy animated series. The result is three games that often look radically different from their sources. What was once a textureless brown blob is now a highly-detailed tree that appears to have a story of its own to tell. Flat green spaces which we assumed represented fields are now beautiful prariries consisting of flowers and individual blades of grass that can be affected by wind and fire. 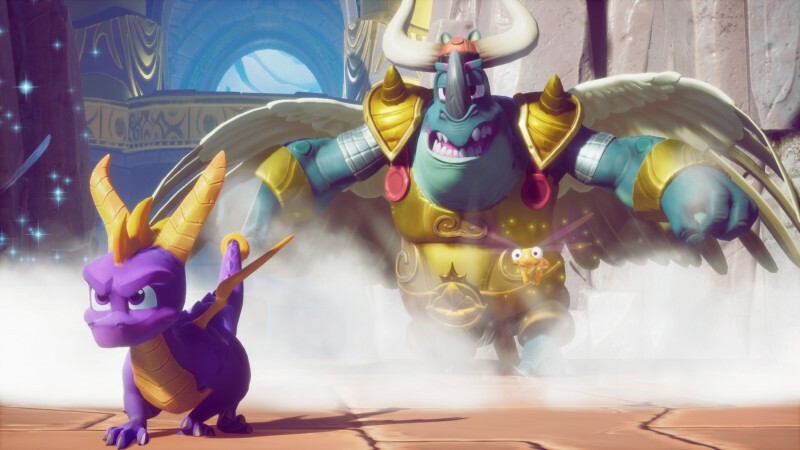 A dog that moved awkwardly now has a variety of beautifully realized animations that visually convey the second it becomes a threat to Spyro. All three games look stunning by today’s standards, but are near-perfect recreations of the originals. This means the level design and item placement are identical to Insomniac's work – and that’s where this trilogy’s age begins to cut through the new coat of paint.